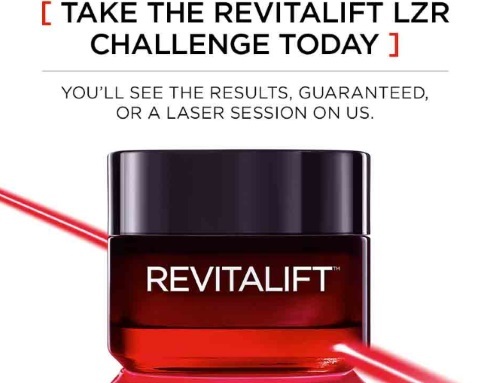 Take the Revitalift LZR Challenge today! You'll be results guaranteed or a laser session is on us (this being Loreal). Enter for a chance to participate in the Revitalift LZR Challenge! Eligible participants will get the chance to experience Revitalift Triple Power LZR Day Cream for one month. Selected participants will be notified by email. Registration closes May 30, 2018. Click here to take part in this offer.